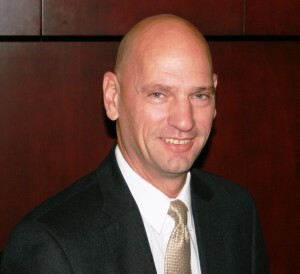 Michael E. Girard is the principal of Girard Law Office. He practices civil litigation with emphasis on insurance defence work including professional liability, D&O, environmental, construction litigation, insurance policy drafting and coverage. In addition to appellate practice, civil jury and non-jury trials in Ontario, Michael has also represented clients in litigation in Nova Scotia and New Brunswick and acted as cooperating counsel in several other Canadian and U.S. jurisdictions. 1985 – 1988 Employed as an associate at Hughes, Amys. Practice focused on construction and public utility litigation. Acted on behalf of the City of North York, the City of Ottawa, Ontario Hydro, contractors, subcontractors and engineering firms. 1988 – 2004 Partner with the firm Hughes, Amys. Practice expanded to include coverage and defence work for commercial, environmental, E&O and D&O claims. Clients included Zurich Insurance Company, Economical Mutual Insurance Company, Allianz Canada, Ace/INA and Chubb Insurance. Michael also developed a practice with the Association of Insured Chartered Accountants (AICA) program and the Healthcare Insurance Reciprocal of Canada (HIROC). 2004 to present Private practice as principal of Girard Law Office. 1983 University of Windsor, Faculty of Law, LL.B.